Aalten, JC; ​Gunner in 15 Field Regiment RCA on 11 Mar 1951, transferred to 8 Technical Regiment, Royal Canadian Electrical and Mechanical Engineers on 30 Apr 1951. ​Abbott, Lisa Marie; Taken on strength as a Gunner on 6 Jan 1990, qualified GMT on 29 Apr 1990, qualified Artillery Basic Trades Training on 2 Aug 1990, qualified STT Communications on 19 Jul 1991, promoted Bombardier effective 6 Jan 1992, operational tour with UNFICYP in 1992/1993, qualified Forward Observation Officer Technician on 26 Jul 1996, qualified LFC Driver Wheeled on 18 May 1997, transferred to Seaforth Highlanders of Canada on 1 May 2000, transferred to 15th Field Artillery Regiment RCA on 1 Apr 2002, promoted Master Bombardier on 18 Apr 2002, qualified Detachment Commander on 29 Jul 2002. ​Abbott, Ron S; Captain in 158th Battery 15th Field Artillery Regiment RCA in 1962, Major in 1969. Abbott, William Harold; Taken on strength as a Musician in 15th Field Artillery Regiment RCA on 30 Jun 1983, qualified General Military Training on 11 Jul 1985, qualified Musian TQ1 (Alto Sax) on 2 Aug 1985, promoted Corporal on 2 Aug 1985, released on 6 Feb 1987, re-enrolled on 31 Jan 1991, released 1 May 1993. 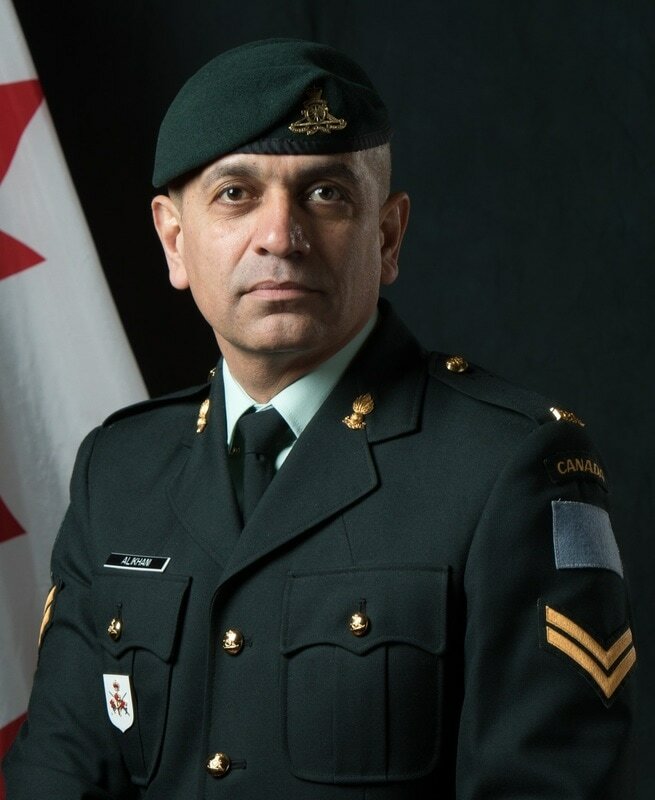 Abboub, Soumia; Corporal in 15th Field Artillery Regiment RCA in 2017. Ablett, Ernest Victor; Taken on strength as a Gunner with 85th Battery 15th (Vancouver) Coast Regiment RCA NPAM on 2 Aug 1940, assigned regimental number V10401, assigned new regimental number K417510, to be Acting Bombardier 11 Oct 1940. Ablitt, Wayne Gary Norman; Taken on strength as a Musician in 15th Field Artillery Regiment RCA on 16 Feb 1994, released on 13 Sep 1995. 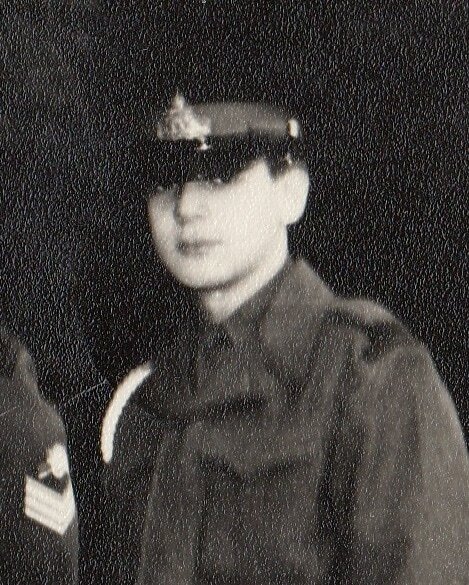 Abramson; Gunner in 15th Field Regiment RCA in 1959. Ackland, Eric Eustace; Taken on strength as a Gunner with 58th Battery 15th (Vancouver) Coast Regiment RCA NPAM on 7 Aug 1940, assigned regimental number V9902, to be Acting Sergeant 1 Sep 1940, assigned new regimental number K416503. Acorn, Gilbert Chester; Taken on strength with 4th Regiment Canadian Artillery in 1897, transferred to Prince Edward Island Heavy Brigade Canadian Garrison Artillery, taken on strength as a Quartermaster Sergeant with the No. 5 Siege Battery Canadian Garrison Artillery on 27 Mar 1916, embarked on the S.S. Southland on 26th Sep 1916, unit renamed 8th Siege Battery Canadian Garrison Artillery on 31 Mar 1917, landed in France on 31 Jul 1917, taken on strength Canadian Artillery Regimental Depot on 28 Mar 1918, discharged on 26 Jun 1918. Adair, Lorraine (Laurence) Patrick; Taken on strength Governor General's Foot Guards for 3 years, attested 13th Canadian Battalion The Royal Highlanders of Canada as a drummer 23 Sep 1914, assigned regimental number 24439, arrived in France 15 Feb 1915, 15 days Field Punishment #1 for breaking away from party and drunkenness on line march 22 Feb 1915, granted 9 days leave to United Kingdom 18 Nov 1915, rejoined unit 30 Nov 1915, wounded in action 19 Apr 1916, embarked for England 29 Apr 1916, taken on strength 1st Quebec Regiment 19 Mar 1917, discharged 30 Nov 1917, Sergeant in the 43rd Medium Anti-Aircraft Regiment RCA CA(M) Military Band in 1958, deceased 21 Sep 1973, interred Forest Lawn Memorial Park Burnaby BC. Adair, WD; Gunner in 43rd Heavy Anti-Aircraft Regiment RCA in 1947. Adams, Fred; Bombardier in 1st Searchlight Regiment RCA in 1939. 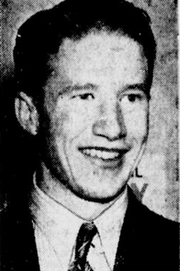 Adams, John Ellis; Taken on strength 58th Battery 15th (Vancouver) Coast Brigade RCA 28 Aug 1940, assigned regimental number V10017, assigned new regimental number K416525, struck off strength professional hockey 31 Oct 1940, played one season with the Montreal Canadiens who had acquired his rights from Vancouver of the Pacific Coast Hockey League - scored six goals in a year the team was uncharacteristically and summarily eliminated from the playoffs in the first round against Chicago, rejoined military summer 1941, , married Valerie Rowan 1941, after discharge in 1946 he was traded by the Canadiens to Buffalo and never made it back to the NHL, finished his career with New Westminster retiring from hockey in 1949, deceased 21 Aug 1996 Surrey BC. Adams, JK; Warrant Officer Class I in 1958, 43rd Medium Anti-Aircraft Regiment RCA in 1958. Adams, John Robert; Taken on strength 15th Field Regiment RCA on enrolment with former service in Canadian Army (R) on 3 Apr 1956, promoted substantive Bombardier on 3 Apr 1956, promoted Acting Sergeant on 1 Oct 1956, attached fap to No 3 Area Signals Squadron RCCS CA(M) on 3 Apr 1956, reverts to substantive Bombardier on 1 Aug 1957, struck off strength on release on 1 Aug 1957. Adams, Mark Anthony; Taken on strength as a Gunner in 15th Field Artillery Regiment RCA on 15 Feb 1977, released on 1 Apr 1978. Adams, Wilbert; Taken on strength with Prince Edward Island Heavy Brigade Canadian Garrison Artillery, taken on strength as a Gunner with the No. 5 Siege Battery Canadian Garrison Artillery on 3 Jun 1916, embarked on the S.S. Southland on 26th Sep 1916, unit renamed 8th Siege Battery Canadian Garrison Artillery, landed in France on 31 Jul 1917, deceased 21 May 1920, buried at Lower Montague, Prince Edward Island. Adamson, Bryan Arthur; Taken on strength 15 Field Regiment RCA on 11 Mar 1954, struck off strength on release on 28 Dec 1954. Adamus, Gerry Steven; Taken on strength as a Musician Corporal in 15th Field Artillery Regiment RCA on 1 Jun 1979, qualified Musician TQ1 T2 and TQ3 on 2 Sep 1979, qualified General Military Training on 26 May 1980, promoted Master Corporal on 1 Jun 1981, promoted Sergeant on 25 Sep 1982, qualified Musician TQ4 percussion on 21 Aug 1981, released 4 Feb 1989. ​Addison, Bud Arthur; Taken on strength in 68th Depot Battery 7 May 1918, Gunner in 1918, deceased 24 September 1918 in training accident in Petawawa, ON while training with the Ammunition Column Siberian Expeditionary Force, buried at Mountainview cemetery. Adzick (Adsich), Don (Zeke); Gunner in 85th Heavy Battery 15th (Vancouver) Coast Brigade, RCA in 1939. Agoston, Tom; Taken on strength as a Gunner in 15th Field Artillery Regiment RCA on 17 Feb 1977, released on 10 Mar 1977. Aguillan, Fernand Lynn; Taken on strength as a Gunner in 15th Field Artillery Regiment RCA on 28 Oct 1993, released on 13 Sep 1994. Aikens, Jack Warner; Taken on strength with 15th Field Regiment RCA on 26 Feb 1948, appointed Acting Sergeant on 27 Feb 1948, relinquishes the appointment of Acting Sergeant, struck off strength on 12 Feb 1954. Aird, Arthur William; Taken on strength 62nd Battery 15th Overseas Brigade Canadian Field Artillery as a Gunner 22 May 1916, assigned regimental number 332908, embarked Halifax 11 Sep 1916, disembarked Liverpool 22 Sep 1916, absorbed by 14th Brigade Canadian Field Artillery 22 Jan 1917, appointed Bombardier 9 Feb 1917, struck off strength on proceeding for Royal Flying Corps 13 Aug 1917, Second Lieutenant in 209th Squadron Royal Flying Corps in 1918, deceased 23 May 1918, commemorated on the Arras Flying Services Memorial Nord-Pas-de-Calais France. Aitchison, Robert John; Taken on strength as a Musician in 15th Field Artillery Regiment RCA on 29 Nov 1962, qualified Clarinet Gp I on 5 Jul 1963, promoted Bombardier on 1 Oct 1965, transferred to HMCS Discovery on 15 Jan 1974. 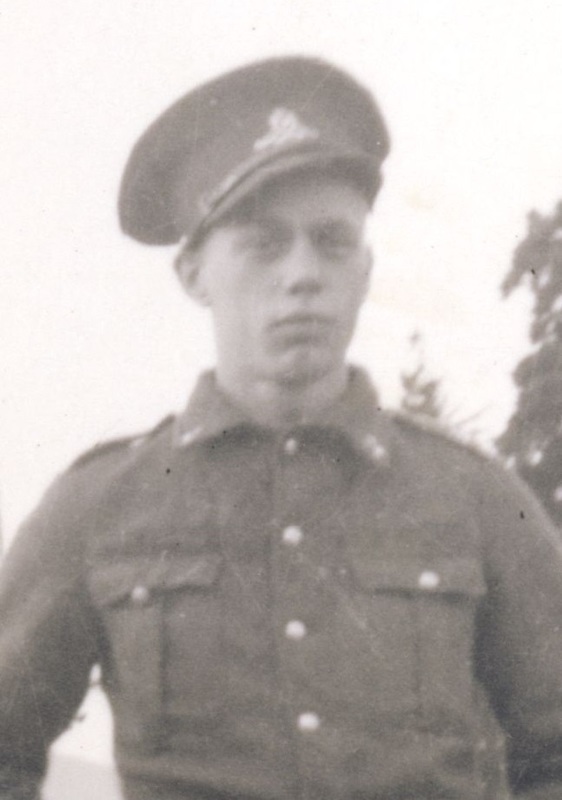 Aitken, Leslie Poole; Taken on strength with Prince Edward Island Heavy Brigade Canadian Garrison Artillery, taken on strength as a Gunner with the No. 5 Siege Battery Canadian Garrison Artillery on 13 May 1916, embarked on the S.S. Southland on 26th Sep 1916, unit renamed 8th Siege Battery Canadian Garrison Artillery, landed in France on 31 Jul 1917, deceased 21 May 1920, buried at Lower Montague, Prince Edward Island. Aitken, Robert; Taken on strength as a Gunner in 15th Field Artillery Regiment RCA on 5 Jun 1979 with 10 months 22 days of Time in Rank, released on 27 Oct 1979. Alden, Jeff A; Warrant Officer attach posted to the 15th Field Artillery Regiment RCA in 1992. Aleksic, Bojan; Taken on strength in 15th Field Artillery Regiment RCA, awarded Most Efficient Recruit of the Year 2013, Bombardier in 2014. Alexander, JVW; Listed on 1947-1967 list of reunion invitees. Aley, George Frederick; Taken on strength in 15th Field Regiment RCA on 20 Mar 1952 with former service as Flight Lieutenant in Royal Canadian Air Force, struck off strength to Supplementary Reserve RCA on 10 Sep 1953. Ali, Faiyas; Taken on strength as a Gunner in 15th Field Artillery Regiment RCA on 27 Jun 1985, qualified General Military Training on 9 Aug 1985, released on 9 Feb 1986. Alikhani, Safar; Taken on strength in 15th Field Artillery Regiment RCA, Private in 2011, Bombardier in 2014. ​Allan, ML; Captain in 15th (Coast) Brigade RCA CA in 1942. Allardice, Donald Claire; Taken on strength 31 Battery 15th (Vancouver) Coast Brigade RCA NPAM 31 Jul 1940, assigned regimental number V9401, assigned new regimental number K415518. Allardyce, William John; Taken on strength 68th Overseas Depot Battery Canadian Field Artillery as a Gunner 11 Apr 1917, embarked Canada 29 May 1917, disembarked England 10 Jun 1917, taken on strength 2nd Brigade Canadian Reserve Artillery 22 Jun 1917, granted leave of absence 2 - 8 Oct 1917, proceeded to France 14 Oct 1917, posted to 21st Howitzer Battery 4th Brigade Canadian Field Artillery 5 Nov 1917, wounded 21 Jan 1918, rejoined unit 27 Jan 1918, struck off strength for return to Canada as a medical student Canada 5 Aug 1918, discharged 11 Nov 1918. Allen, Albert Alexander; Taken on strength 68th Depot Battery 16 October 1916, discharged having received permission to join Royal Flying Corps 25 Jan 1917, Lieutenant Royal Flying Corps 46th Squadron 1917, killed in action on 11 Oct 1917 whilst flying a Sopwith Pup, buried in the Honourable Artillery Company Cemetery (Ecoust-St. Mein), Pas De Calais, France. Allen, Edward James; Taken on strength 15th Field Regiment RCA on 3 Oct 1957, member of 15th Field Regiment RCA CA(M) Military Band on 1 Oct 1959, transfered to 15th Field Regiment RCA CA(M) on 14 Oct 1959. Allen, Gordon; Taken on strength 31 Battery 15th (Vancouver) Coast Brigade RCA NPAM 30 Jul 1940, assigned regimental number V9402, assigned new regimental number K415519. 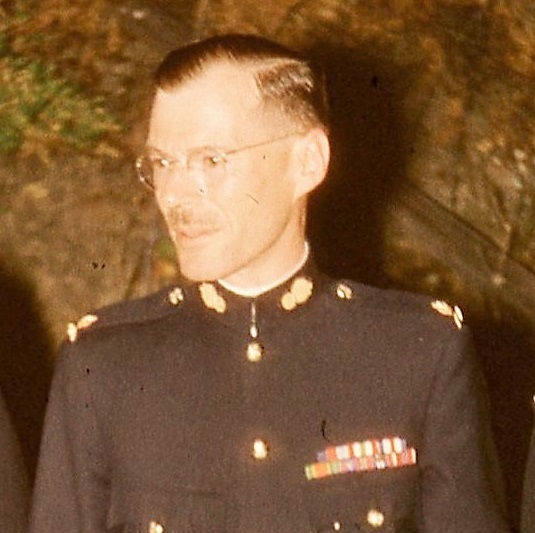 Allen, JP; Second Lieutenant in 58th Battery 15th (Vancouver) Coast Brigade RCA NPAM in 1941. Allen, James Robert; Taken on strength as a Sergeant with previous service on 7 Feb 1972, promoted Warrant Officer on 1 Mar 1973, released on 5 Jul 1974. Allen, Percy Alexander; 68th Battery Canadian Field Artillery Gunner Nov 1917, First Depot Battalion Vancouver, Discharged Corporal Dec 1918. Allsop, Harry; Taken on strength 31 Battery 15th (Vancouver) Coast Brigade RCA NPAM 6 Aug 1940, assigned regimental number V9403, assigned new regimental number K415520. Allwood, Patrick Vine; Taken on strength in 15th Field Regiment RCA on 1 Oct 1953, struck off strength on 17 Jun 1954. 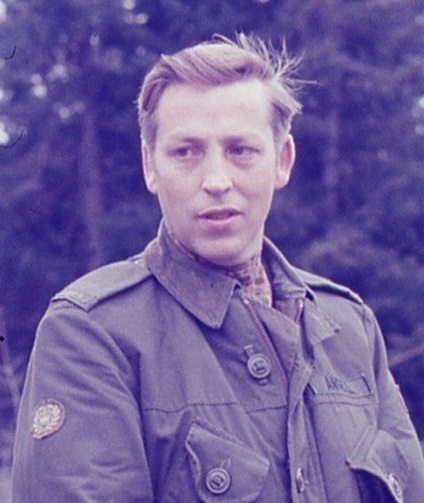 Almerling, Peter Ernest ; Taken on strength as a Musician in 15th Field Artillery regiment on 4 Apr 1989, qualified General Military Training on 9 Jun 1989, promoted Bombardier on 8 Sep 1990, released 15 Mar 1993. Alp, Richard Arslan; Taken on strength as a Gunner in 15th Field Artillery Regiment RCA on 29 Mar 1985, qualified General Military Training on 9 Aug 1985, released on 19 Jan 1986. 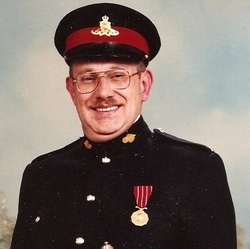 Alsop, Donald Rodney; Taken on strength as a Musician in 15th Field Artillery Regiment RCA on 23 Apr 1992, qualified General Military Training on 26 Jun 1992, qualified QL4 Musician on 7 Aug 1982, released on 24 Aug 1995. ​Ames, David A; Major in 102nd Coast Regiment RCA in 1954, 43rd Medium Anti-Aircraft Regiment RCA in 1958. Amos, RW; Private in 85 Battery in 1969. ​Amos, William (Bill) Joseph; Taken on strength as a Cook Royal Canadian Service Corps allocated to 15 Field Artillery Regiment RCA 19 Mar 1968, remustered from Cook to Artilleryman 18 Apr 1969, qualified Junior Non-Commissioned Officer 5 Apr 1970, promoted Bombardier 1 May 1970, promoted Sergeant 1 Sep 1971, promoted Warrant Officer 1 Oct 1974, promoted Master Warrant Officer 1 Jan 1976, qualified Artillery Driver Wheeled 23 Sep 1976, awarded the Dumoulin Trophy for 1980, promoted Chief Warrant Officer and appointed Regimental Sergeant Major 15th Field Artillery Regiment RCA 15 Jun 1983, commissioned Captain 25 Jul 1986, released 31 Jan 1994, deceased 19 Jun 2016. Amskold, Larry Daniel; Taken on strength 15th Field Artillery Regiment RCA on 9 Jul 1973, struck off strength on 13 Feb 1975. ​Andersen, George Peter; ​Taken on strength as an Officer Cadet in 15 Field Regiment RCA on 6 Oct 1949, struck off strength on enlistment to Active Force. ​Anderson; Gunner in 85th Heavy Battery 15th (Vancouver) Coast Brigade RCA in 1939. Anderson, David Gash; Canadian Officer Training Corps 9 months, drafted 68th Overseas Depot Battery Canadian Field Artillery Gunner 8 Dec 1917, assigned regimental number 2557408, arrived England 24 Feb 1918, proceeded overseas 17 Aug 1918, taken on strength 53rd Battery 13th Brigade Canadian Field Artillery as a Driver 7 Sep 1918, 14 days leave Paris 29 Mar 1919, struck off strength to Canada 11 Jun 1919, discharged 18 Jul 1919. 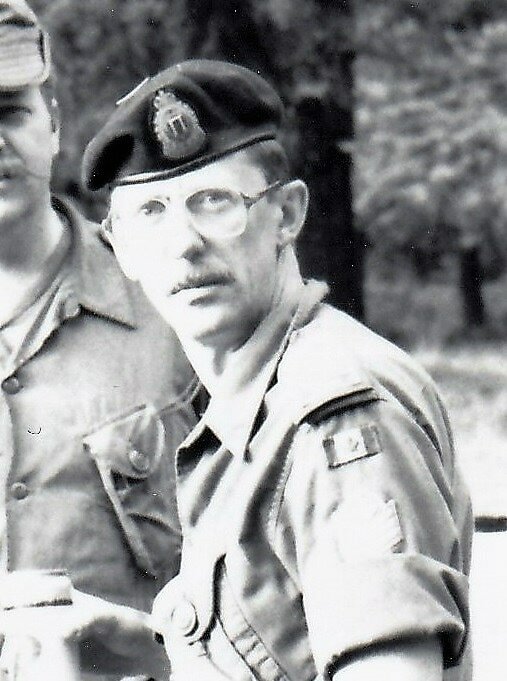 Anderson, David Lawrence; Taken on strength as Second Lieutenant in 15th Field Artillery Regiment RCA on 18 Dec 1980, Lieutenant in 1981, promoted Lieutenant on 1 Sep 1981, transferred to 20th Field Artillery Regiment RCA on 10 Nov 1982, Lieutenant-Colonel and Commanding Officer 20th Field Artillery Regiment RCA in 1996. Anderson, George Harvey; Attested 6 Oct 1915 with 68th Overseas Depot Battery Canadian Field Artillery, regimental #476776, 6 years prior service United States Cavalry, assigned 2nd Field Artillery draft, 7 days in civil prison, struck off strength 13 Dec 1915 for insubordination. Anderson, Kenneth Norman; Taken on strength 15th Field Artillery Regiment RCA on 14 Jun 1977, released on 4 Oct 1977. Anderson, Kevin Harold; ​Taken on strength 15th Field Artillery Regiment RCA on 2 Jul 1981, transferred out on 1 Nov 1981. Anderson, Ludwig; Gunner in 5th Canadian Garrison Artillery, Gunner in Headquarters 15th Brigade Canadian Field Artillery in 1916. Anderson, Malcolm Richard; Taken on strength 15th Field Artillery Regiment RCA on 2 Jul 1981, released on 3 Oct 1981. Anderson, Patrick Mark; Taken on strength 15th Field Artillery Regiment RCA on 4 Jul 1977, released on 11 Jul 1977. 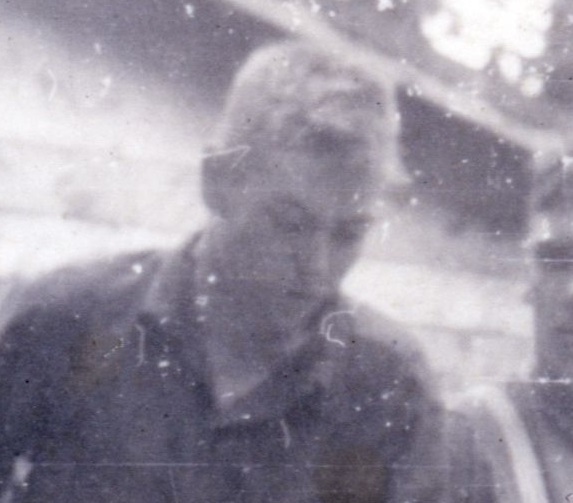 Anderson, Robert Glen; Taken on strength 15th Field Regiment RCA on 7 Nov 1957, transferred to 15th Field Regiment RCA Military Band on 31 Oct 1958. 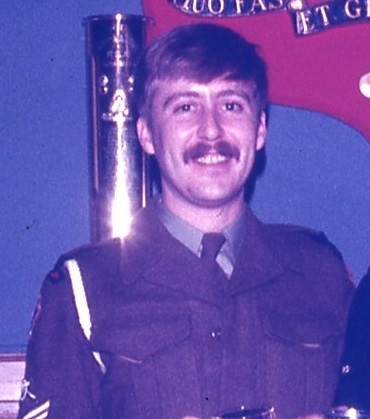 Anderson, Robin Frederick; Taken on strength 15th Field Artillery Regiment RCA on 24 Mar 1983, released 24 Mar 1983. Anderson, Ronald; Taken on strength with 85 Battery 15th Coast Regiment RCA on 27 Nov 1947, appointed Lance Bombardier on 16 Sep 1948, struck off strength on 1 Apr 1949. Anderson, Scott David; Taken on strength 15th Field Artillery Regiment RCA as Supply Technician on 8 Jan 1987. Anderton, Jack; Taken on strength 15th Field Regiment RCA on 3 Jan 1957, struck off strength on release on 15 May 1958. Andrade, Samuel Abimael; Taken on strength as a Gunner in 15th Field Artillery Regiment RCA on 30 Jun 1975, released on 31 Aug 1975, taken on strength as a Gunner in 15th Field Artillery Regiment RCA on 28 Jun 2001, Qualification level 2 on 20 Jul 2001, Qualification 3 Artilleryman on 24 Aug 2001, released on 18 Apr 2002. Andreone, Martin Edward Victor; Taken on strength in 15th Field Artillery Regiment RCA on 6 Jul 1983, qualified General Military Training on 19 Aug 1983, released on 31 Mar 1984. Andresen (Andreson), VS; Taken on strength in 15 Field Regiment RCA on 16 Mar 1950, appointed Lance Bombardier on 14 Dec 1950, appointed Acting Bombardier on 21 Jun 1951, confirmed Sergeant on 1 Dec 1951, reverts to Gunner on 1 Apr 1955, struck off strength on release on 1 Apr 1955. Andrews, CF; Taken on strength 15th Field Regiment RCA as Sergeant on cessation of Continuous Army Duty at 11 Personnel Depot on 2 Oct 1958, transferred to 15th Field Regiment RCA Military Band on 31 Oct 1958. Andrews, Harold Gibson; Taken on strength as a Musician in 15th Field Artillery Regiment RCA on 29 Oct 1981, released on 19 Jan 1983. ​Andrews, Harold Stewart; Taken on strength 31 Battery 15th (Vancouver) Coast Brigade RCA NPAM 6 Aug 1940, assigned regimental number V9404, appointed Acting Bombardier 15 Sep 1940, appointed Lance Sergeant 21 Sep 1940, appointed Second Lieutenant 4 Oct 1940, posted to 85th Battery 4 Oct 1940. Andrews, Ivan Frederick; Taken on strength as a Gunner in 15th Field Artillery Regiment RCA on 13 Apr 1985, qualified General Military Training on 1 Feb 1986, qualified Artilleryman on 10 Apr 1986, qualified Artillery Communications on 16 Nov 1986, released 26 Jan 1989. 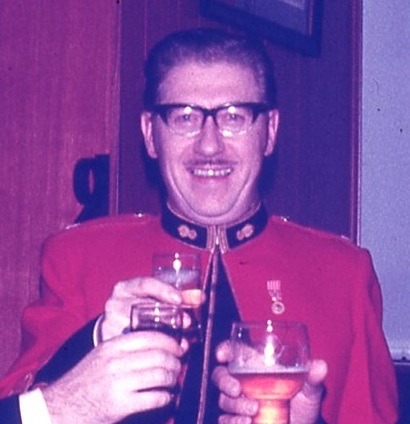 ​Angell, D Gary; Staff Sergeant in 1966, Master Warrant Officer from 1969 to 1972. Angletvedt, CR; Private in 85 Battery in 1969. Angus, Bruce Garry Francis; Taken on strength as a Private in the Royal Westminster Regiment on 19 Jun 1984, qualified General Military Training on 10 Aug 1984, transferred to 15th Field Artillery Regiment RCA on 15 Nov 1984, transferred to Royal Westminster Regiment on 20 Jun 1985. Angus, Thomas Florence; Gunner in 5th Canadian Garrison Artillery, taken on strength 15th Overseas Brigade Canadian Field Artillery 27 May 1916, assigned regimental number 332926, Gunner in Headquarters 15th Brigade Canadian Field Artillery in 1916, embarked Halifax 11 Sep 1916, disembarked Liverpool 22 Sep 1916, absorbed by 14th Brigade Canadian Field Artillery 22 Jan 1917, to be Acting Bombardier with pay 14 Aug 1917, proceeds overseas 20 Aug 1917, ceases to draw pay of Bombardier retains appointment of Acting Bombardier 22 Aug 1917, hospitalized sick 5 May 1918, rejoined unit 8 May 1918, granted 14 days leave to United Kingdom 23 Oct 1918, rejoined unit 11 Nov 1918, proceeded to England 11 May 1919, embarked Liverpool 11 Jun 1919, discharged 28 Jun 1919, deceased 25 April 1935, interred Royal Oak Burial Victoria BC. Ankersen, Donna-May; Taken on strength 15th Field Artillery Regiment RCA on 22 May 1975, struck off strength on 30 Sep 1975. Annesley, Roderick Thomas; Taken on strength 15th Field Artillery Regiment RCA on 2 Jul 1984, qualified General Military Training on 10 Aug 1984, qualified Artilleryman on 22 Sep 1984, transferred to Regular Force on 30 Jan 1985. Antolinos, David Francisco; ​Taken on strength 15th Field Artillery Regiment RCA on 7 Jul 1980, released 31 Aug 1980. Aquino, Lysandre Emilo Avila; ​Taken on strength 15th Field Artillery Regiment RCA on 7 Jul 1980, released 12 Feb 1981. Arai, Bernard Hayates; Taken on strength as a Musician in 15th Field Artillery Regiment RCA on 8 Sep 1993, released on 24 Oct 1995. Arai, Cheryl Keiko; Taken on strength as a Musician in 15th Field Artillery Regiment RCA on 14 Dec 1994, released on 5 Oct 1995. 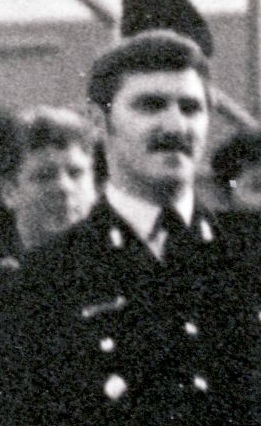 Arberry, Brian R; Sergeant in 1990, Unit Administrative Assistant in 1990. Arbuckle, Robyn Diane; Taken on strength as an Admnistrative Clerk with 15th Field Artillery Regiment RCA on 11 Sep 1980, transferred to 12 Medical Company on 1 Oct 1981. 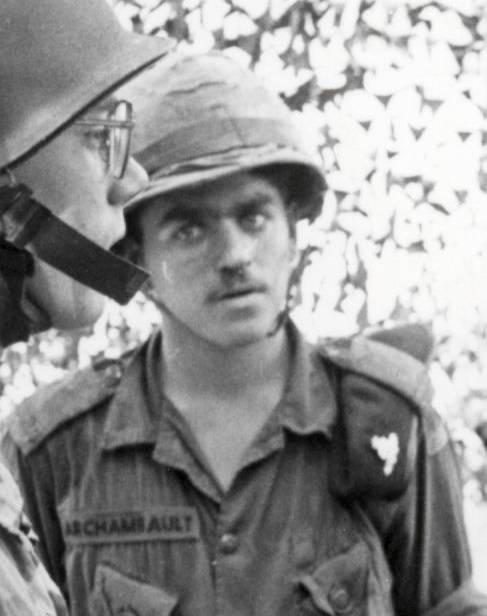 ​Archambault, Alain Henry; Taken on strength as a Gunner in 15th Field Artillery Regiment RCA on 3 Mar 1979, released 27 Aug 1979, re-enrolled on 5 Nov 1981, released 11 Feb 1984. Archdale, George Hector; 1st Battalion Lincolnshire Battalion for 8 years, 88th Victoria Fusiliers, promoted Corporal 16 Oct 1914, promoted Sergeant 1 Nov 1914, transferred to 30 Battalion on 1 Nov 1914, attested Canadian Over-Seas Expeditionary Force 6 Nov 1914, transferred to Princess Patricia Canadian Light Infantry 31 Dec 1914, on draft to 16th Battalion Canadian Expeditionary Force 26 Apr 1915, promoted Sergeant 3 July 1915, reverts to the ranks at his own request 31 Jul 1915, transferred to 6th Battery 2nd Brigade Canadian Field Artillery 7 Jan 1916, awarded good conduct badge 4 Sep 1916, wounded 24 Jan 1917, promoted Bombardier 1 Feb 1917, promoted Corporal 13 Mar 1917, promoted Sergeant 1 May 1917, fracture of left forearm due to being thrown from horse 12 Sep 1917, taken on strength Canadian Artillery Reinforcement Depot 18 Sep 1917, attached to 2 CCD 17 Nov 1917, taken on strength Reserve Brigade Canadian Field Artillery 5 Mar 1918, taken on strength 16th Brigade Canadian Field Artillery 23 Aug 1918, proceeded overseas to North Russia 23 Sep 1918, arrived Archangel Russia 16 Oct 1918, Sergeant in 68th Battery 16th Brigade Canadian Field Artillery North Russia Expeditionary Force in 1918, Sergeant in "C" Sub Section 68 Battery Canadian Field Artillery North Russia Expeditionary Force in April 1919, embarked for United Kingdom 11 Jul 1919. Ardley, Mark Desmond; Taken on strength as an Officer Cadet in 15th Field Artillery Regiment RCA 13 Dec 1990, completed Basic Officer Training I 26 Jul 1991, completed Basic Officer Training II 21 Jun 1992, qualified QL 3 Artilleryman 22 Mar 1992, completed Basic Artillery Officer Training course 2 Jul 1993, promoted Second Lieutenant 2 Jul 1993, released 20 Apr 1995. Argue, JW; Private in 209 Battery in 1969. Arita, HH; Gunner in the 43rd Medium Anti-Aircraft Regiment RCA Band in 1958. Arkles, Bradley David; Taken on strength as a Gunner in 15th Field Artillery Regiment RCA on 1 Nov 1986, qualified General Military Training on 13 dec 1986, qualified STT Cook on 11 May 1987, qualified BTT Cook course on 4 Apr 1987, qualified Artilleryman on 12 Jul 1987, released on 28 Nov 1987. Armstrong, Anthony Andrew; Taken on strength as a Gunner in 15th Field Artillery Regiment RCA on 2 Jun 1992, qualified General Military Training on 24 Jul 1992, qualified QL3 Artilleryman on 14 Aug 1992, released 4 Nov 1992. Armstrong, G; Taken on strength 15th Brigade Canadian Field Artillery, pay clerk in 1916. Armstrong, RW; Attached to 15 Coast Regiment RCA from Royal Canadian Army Pay Corps on 1 Apr 1947 as Captain (Paymaster), struck off strength on transfer to Supplementary Reserve of Officers on 29 Apr 1948. Armstrong, William Arthur Laird; Taken on strength as a Gunner in Headquarters 15th Brigade Canadian Field Artillery 9 May 1916, assigned regimental number 332864, embark Halifax 11 Sep 1916, disembarked Liverpool 22 Sep 1916, to be Acting Bombardier 16 Oct 1916, to be Acting Corporal 10 Nov 1916, reorganized as 14th Brigade Canadian Field Artillery 22 Jan 1917, proceeded overseas 21 Aug 1917, promoted Sergeant 19 Sep 1917, wounded 10 Nov 1917, taken on strength Canadian Artillery Reinforcement Depot 20 Dec 1917, on command to 2nd CCD 4 Mar 1918, taken on strength Reserve Brigade Canadian Field Artillery 9 Sep 1918, to Canada 15 Mar 1919, discharged 31 Mar 1919, married Archenn M Connor 10 Jul 1923, employed as Canadian National Railway agent, deceased 19 Feb 1969. 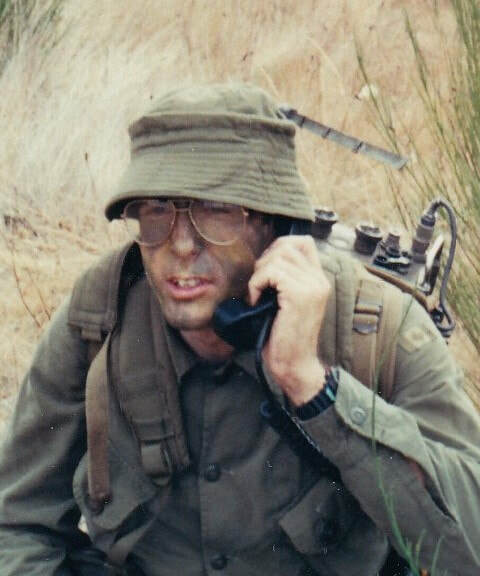 Arnold, Alfred; Private in 31 Battery from 1984 to 1989, Bombardier in 1990. Arnold, Arthur Louis; Taken on strength as a Gunner in 15th Field Artillery Regiment RCA on 2 Jul 1984, qualified General Military Training on 10 Aug 1984, qualified Basic Artilleryman TQ1 on 22 Sep 1984, released on 14 Oct 1985. Arnold, Herbert Derek; Taken on strength as a Gunner with 85th Battery 15th (Vancouver) Coast Regiment RCA NPAM on 2 Aug 1940, assigned regimental number V10403, to be Acting Sergeant 15 Sep 1940, appointed Second Lieutenant 4 Oct 1940, posted to 58th Battery 4 Oct 1940. Arpin, Louis Anthime; Attested Canadian Over-Seas Expeditionary Force Sep 26 1914, 5 Battery 2nd Brigade Canadian Field Artillery, appointed Acting Bombardier 12 Mar 1916, promoted Bombardier 13 May 1916, promoted Corporal 1 Jul 1916, taken on strength Canadian Artillery Reinforcement Depot 12 Sep 1917, taken on strength Reserve Brigade 4 Mar 1918, taken on strength Composite Brigade 23 May 1918, taken on strength 68th Battery 16th Brigade Canadian Field Artillery North Russia Expeditionary Force 23 Aug 1918, proceeded overseas to North Russia 23 Sep 1918, arrived Archangel 1 Oct 1918, reverts to permanent grade of Gunner at his own request 17 Apr 1919, appointed Acting Bombardier with pay to complete establishment 14 May 1919, embarked for United Kingdom 11 Jun 1919, invalided to Canada 19 Sep 1919, discharged 4 Oct 1919, deceased 19 Apr 1974. Arthur, John Ross; Taken on strength in 15 Field Regiment RCA on 16 Nov 1950, struck off strength on 8 Oct 1953. Ashby, Eric Joseph; Taken on strength with 15th Field Regiment RCA on 26 Feb 1948, appointed Lance Bombardier on 27 Feb 1948, appointed Acting Bombardier on 1 Apr 1948, Acting Sergeant on 16 Sep 1948, confirmed Sergeant on 1 Feb 1949, appointed Acting Staff Sergeant on 3 Nov 1949, appointed Acting Warrant Officer Class II on 20 Jan 1950, confirmed Warrant Officer Class II on 15 Jun 1950, struck off strength enlisted Canadian Army Active Force on 6 May 1951, RQMS WO II with Seaforth Highlanders of Canada. Ashikian, Sevan Allen; Taken on strength as a Gunner in 15th Field Artillery Regiment RCA on 9 Jul 1973, qualified General Military Training on 27 Jul 1973, qualified Artilleryman on 5 Jan 1974, qualified Transport Operator on 8 Aug 1974, released on 5 Nov 1975. 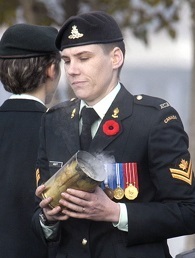 Askola, Jessica Lynn; Taken on strength as a Gunner in 15th Field Artillery Regiment RCA on 30 May 1982, qualified Basic Military Qualification on 26 Jul 2002. Asquith, Sally Marlene; Taken on strength 15th Field Regiment RCA on transfer from No. 111 Manning CA(M) on 26 Apr 1955, struck off strength on release on 1 Jan 1957. Atherton, George Walter; Taken on strength as a Gunner with 58th Battery 15th (Vancouver) Coast Regiment RCA NPAM on 7 Aug 1940, assigned regimental number V9903, appointed Acting Bombardier, assigned new regimental number K416513. Atherton, Ian Scott; Taken on strength as a Gunner in 15th Field Artillery Regiment RCA on 24 Mar 1983, qualified Artillery TQ1 on 22 Jul 1983, qualified General Military Training on 11 Jun 1983, qualified Motor Support Equipment Operator on 10 Aug 1984, promoted Bombardier on 27 Aug 1984, qualified Observation Post Technician on 11 Oct 1984, qualified Artillery Communications on 20 Jul 1984, released 7 Nov 1985. Atherton, Kevin Byron; Taken on strength as a Gunner in 15th Field Artillery Regiment RCA on 24 Feb 1976, qualified General Military Training on 5 Jun 1976, released 29 Aug 1976, re-enroled on 17 Jun 1977, qualified Artillery Driver Wheeled on 25 Aug 1977, qualified Artilleryman TQ1 on 29 Aug 1976, promoted Bombardier on 1 Jan 1978, qualified Artillery Technician on 13 Aug 1978, released 20 Sep 1979, re-enroled 27 Mar 1980, released 1 Oct 1981. 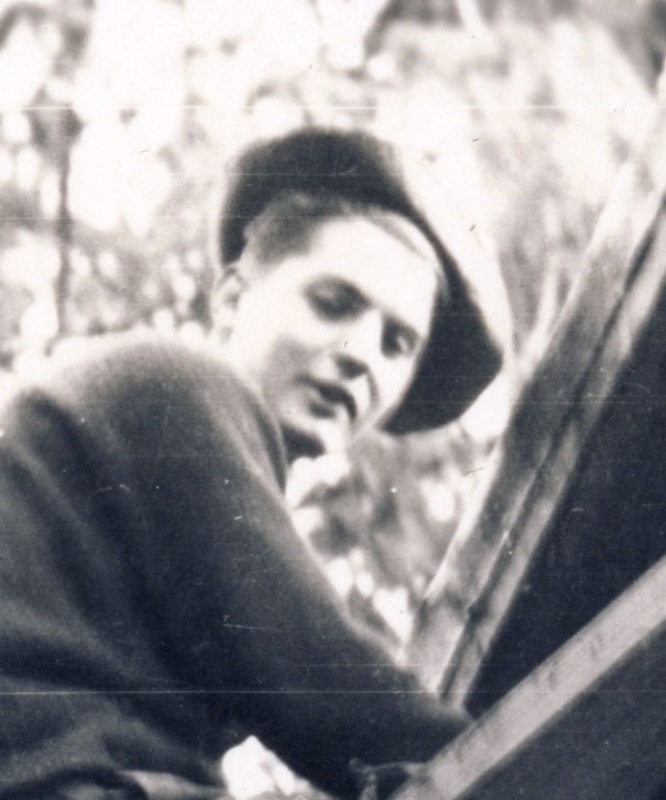 ​Atkins, Don (Fritz) A; Gunner in 85th Heavy Battery 15th (Vancouver) Coast Brigade, RCA in 1939. Atkinson, Michael Alan; Taken on strength 15th Field Artillery Regiment RCA on 9 Jul 1979, released 7 Aug 1979. Aubin, Donald George; Taken on strength in 15 Field Regiment RCA on 22 Mar 1951, taken on strength on enrolment on 13 Oct 1955, struck off strength on release on 1 Aug 1957. Aubin, JR; Gunner in 1953, struck off strength on 15 Oct 1953. Auer, KS; Lieutenant in 15th (Vancouver) Coast Brigade RCA CASF in 1941, member of NCOs Qualification Examination Board in 1941. Austin, Arthur Albert; Taken on strength as a Gunner with 85th Battery 15th (Vancouver) Coast Regiment RCA NPAM on 2 Aug 1940, assigned regimental number V10453, assigned new regimental number K417511. Austin, Ernest Rowan; Taken on strength as a Gunner with 85th Battery 15th (Vancouver) Coast Regiment RCA NPAM on 9 Aug 1940, assigned regimental number V10454, assigned new regimental number K417512, to be Acting Lance Bombardier 11 Oct 1940. Austin, Harry Bury; Attested into Canadian Over-Seas Expeditionary Force 12 May 1917, arrived in England 24 Feb 1918, taken on strength Reserve Brigade Canadian Field Artillery 26 Feb 1918, taken on strength as a Signaller 16th Brigade Canadian Field Artillery 21 Aug 1918, overseas to North Russia Expeditionary Force 23 Sep 1918, disembarked Archangel 1 Oct 1918, Signaller in 68th Battery 16th Brigade Canadian Field Artillery North Russia Expeditionary Force, shipped to England 18 Jun 1919, struck off strength to Canada 5 Jul 1919, discharge 16 Jul 1919. Avery, D; Gunner in 158 Battery 15th Field Artillery Regiment RCA in 1965, Lance Bombardier in 1966, transferred to Regular Force in 1966. ​Awrah, PG; Private in 31 Battery in 1969. Ayres (Ayers), John; Member "C" Battery Royal Canadian Horse Artillery, attested Canadian Over-Seas Expeditionary Force 1 Nov 1915, arrived in England 29 Sep 1915, taken on strength Reserve Brigade Canadian Field Artillery 29 Dec 1915, appointed Acting Bombardier 26 Jun 1916, reverts to permanent grade of Gunner at own request 10 Oct 1916, taken on strength Royal Canadian Horse Artillery in France 14 Oct 1916, injured 14 Jul 1917, posted to Regimental Depot 20 Jul 1917, taken on strength Reserve Brigade Canadian Field Artillery 29 Nov 1917, taken on strength 16th Brigade Canadian Field Artillery 21 Aug 1918, overseas to North Russia Expeditionary Force 23 Sep 1918, disembarked Archangel 1 Oct 1918, Gunner in 68th Battery 16th Brigade Canadian Field Artillery North Russia Expeditionary Force in 1918, shipped to England 18 Jun 1919, struck off strength to Canada 5 Jul 1919.